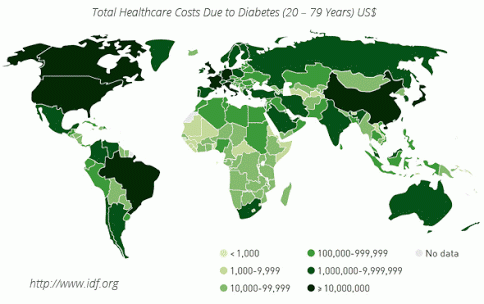 The burden of Diabetes in resource poor settings are enormous and coupling it with other co-morbidities might not be a very pleasant experience. A couple of days ago I met a young lady in her early 30s who was recently diagnosed with diabetes. Looking at her facie I requested for her genotype done and was surprised when the result came and she is SS- Sickle Cell Anaemia. In my 3 years of Advocacy it has never occurred to me a possibility of both conditions coexisting and this lady got me thinking so I decided to conduct a mini research into it. 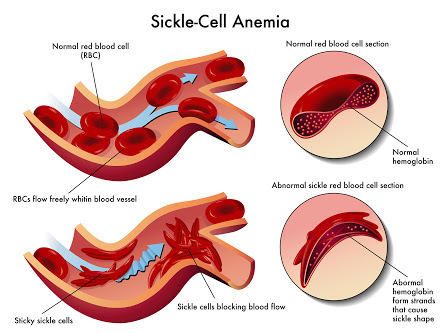 Sickle-cell disease (SCD ), also known as sickle-cell anaemia (SCA ) , is an inherited blood disorder , characterized by an abnormality in the oxygen carrying haemoglobin molecule in red blood cells . 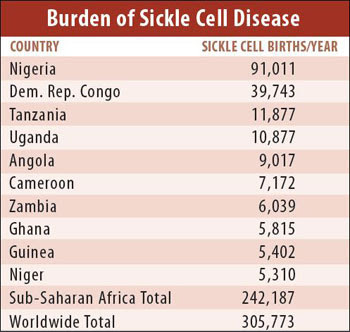 number of acute and chronic health problems, such as severe infections, attacks of severe pain (“sickle-cell crisis”), and stroke , and there is an increased risk of death. According to an article on Medscape, clinical experience in tropical countries with a high incidence of SCD indicates that the concurrence of SCD with either type 1 or type 2 diabetes is a rare finding. Although there are no population-based data to determine the relative prevalence of diabetes among patients with SCD in the tropics, it seems that the SCD population enjoys relative ‘protection’ from diabetes. Theoretical mechanisms for such protection would include the low BMI, hypermetabolism, and possibly other genetic factors. The situation in the tropics might be quite different from that in affluent countries, where blood transfusions are more widely used to palliate the anemia of SCD. According to this article iron overload due to multiple transfusions can result in β-cell damage and decreased insulin production. The result can range from glucose intolerance to frank diabetes that requires insulin for control. The analysis revealed that, for every 10 years of transfusion use, transfused subjects with SCD had 2.5-times greater odds of diabetes. The analysis showed, moreover, that transfused patients with thalassemia had 5.2-fold greater odds of diabetes compared with transfused patients with SCD. But beyond this scientific expose there is need for specialized adequate medical care for people living with diabetes and those who might have other co-existing morbidities such that the burden won’t lead to state of hopelessness, depression and mortality. After interacting with her I discovered she is from a middle class family hence she might be able to get her medical supplies but what if she were from a family living below the UN $1 a day poverty benchmark? NGOs and advocates should brace up to stand for equity in medical access across board and a health system that can cater for people in dire need for support and care.